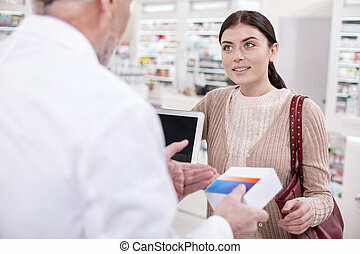 Customer asking for medicine. 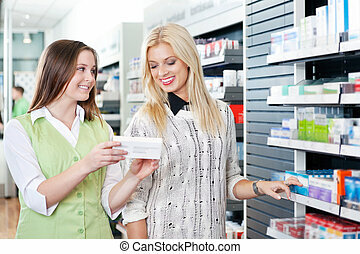 Female customer holding medicine box with pharmacist at counter. 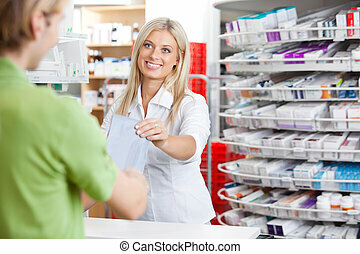 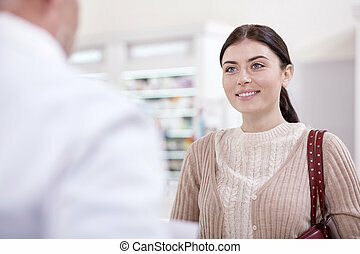 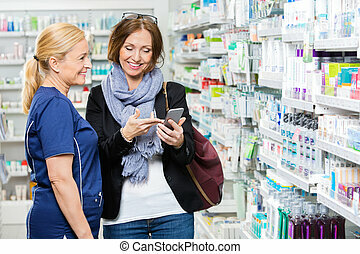 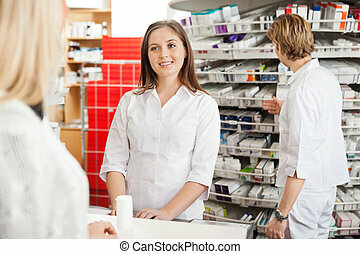 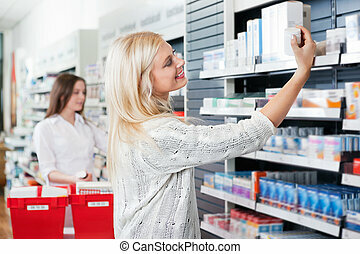 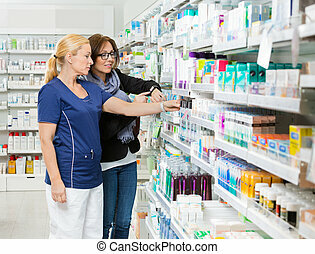 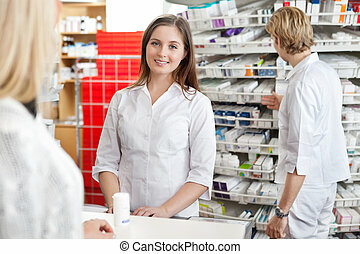 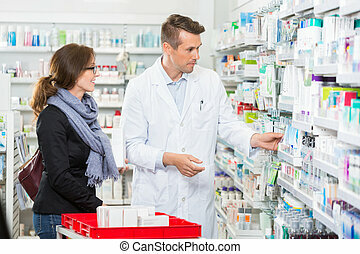 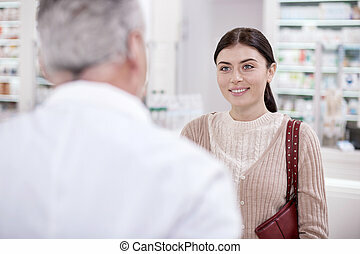 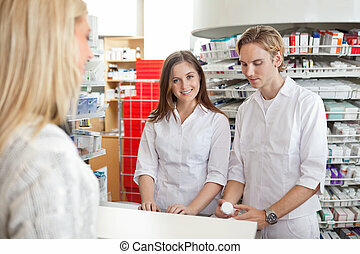 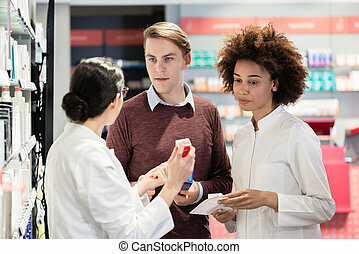 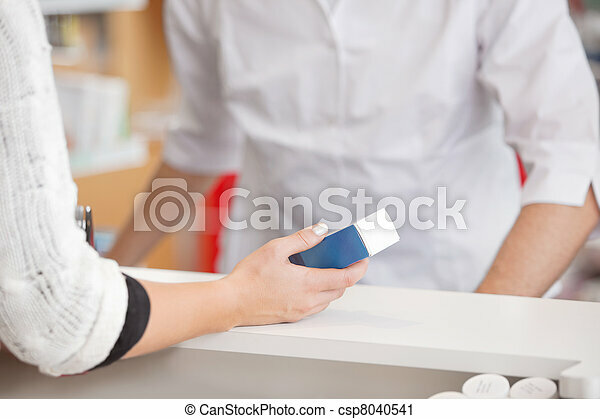 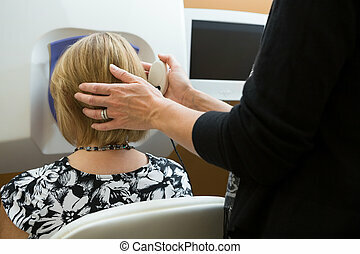 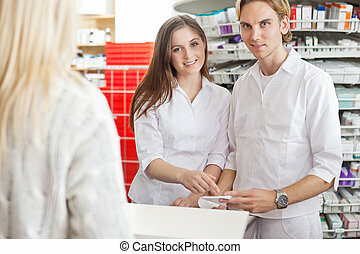 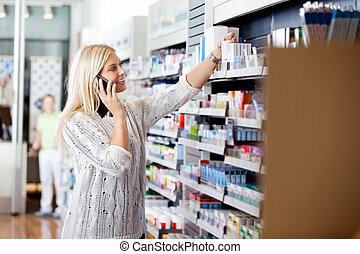 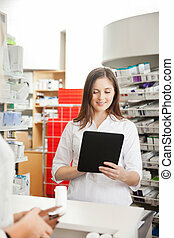 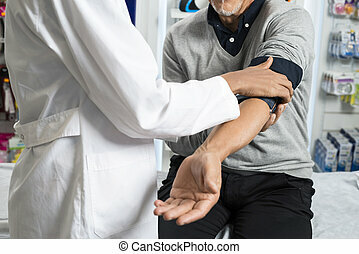 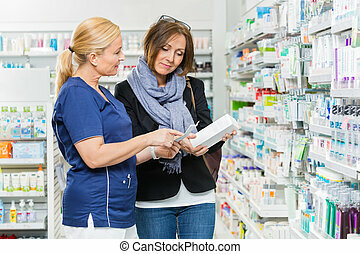 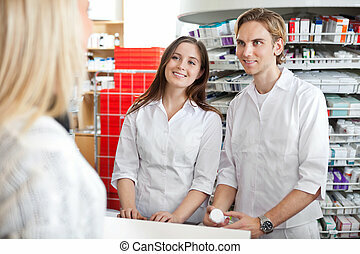 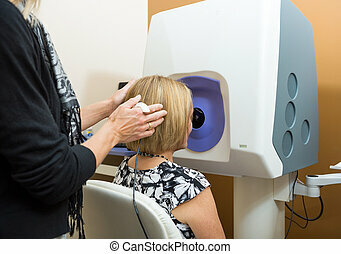 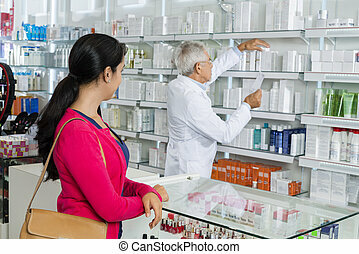 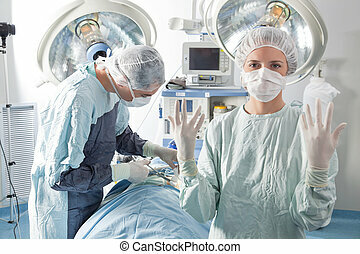 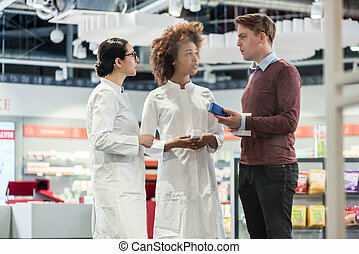 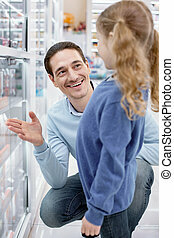 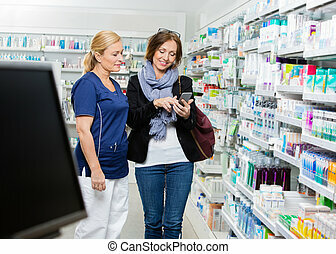 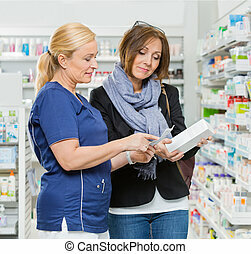 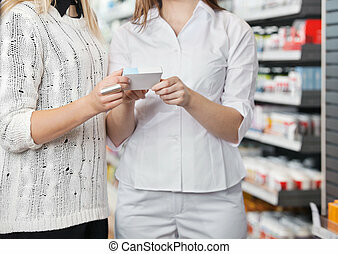 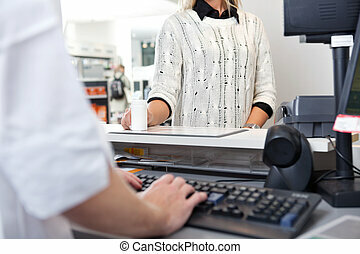 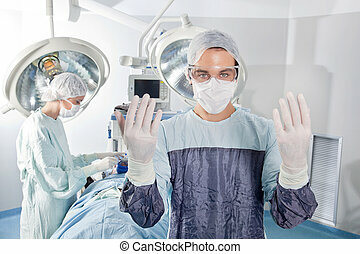 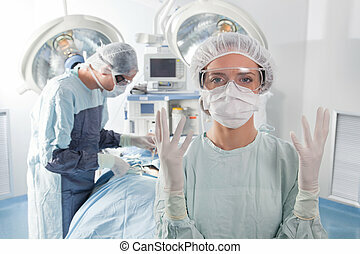 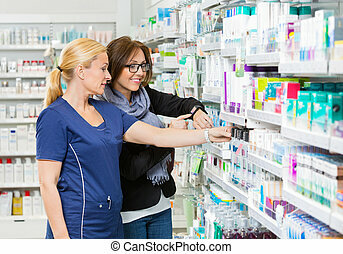 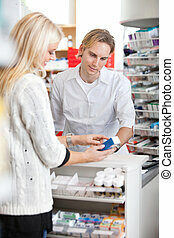 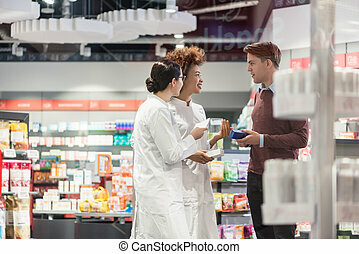 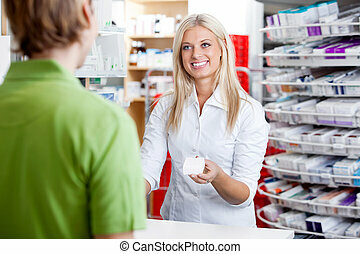 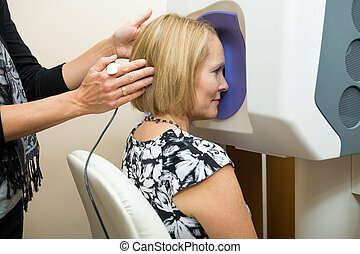 Female Pharmacist Advising Customer At Pharmacy at Cashier.